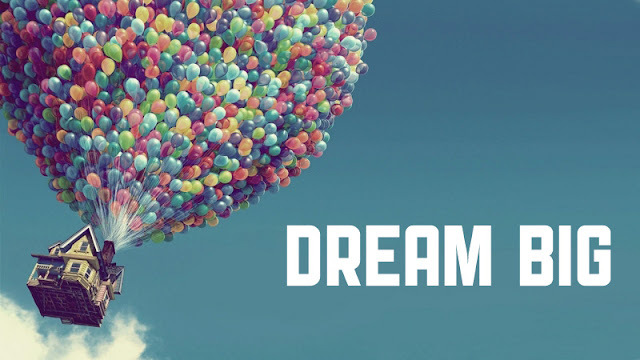 Growing up as a lad, I’ve always been known as a dreamer. I dreamt about anything; dreamt of speaking on television, radio, and being a celebrity in life and I also dreamt of having so much money to do whatever I want and many more. In fact, I dreamt about anything good and luxurious that you can think of. As I began to grow older, I started to work and research out ways to make my childhood dreams come true and also created new ones. I am a big dreamer and I just love to dream because I’ve learnt how to make them come true. I’ve also been told several times that dreams don’t come true in Africa but in recent times, I’ve seen most of my childhood dreams come true. While in my fourth year in the university, my dream of speaking on radio came to pass without paying a dime for it. What an experience it was to host a radio program for one year. And one year after my graduation, my childhood dream of speaking on television came to pass when I was asked to anchor the motivation and entrepreneurship segment on a television program in my state. Speaking on television made me a celebrity in my home state (Benin City, Edo state, Nigeria) thereby bringing another of my childhood dream of becoming a star to pass. Now, whenever I hear people argue that it’s impossible or very difficult for dreams to come true in Africa I just laugh and remind myself of the proverb “the labour of so many wearies them because they know not the “how” to go into the city.” (Paraphrase). Our dreams can come true if we understand the POWER OF FOCUS. Focus is what provides direction for the actualization of any dream. Without focus, the actualization of our dreams may be impossible. I agree with the martyred missionary Jim Elliot who said “wherever you are, be all there.” Focus does not come naturally to us so wrote John C. Maxwell. So the question is, how can we build focus? Here are my two tips on how we can build focus. Most times, alternatives act as our comfort zones that stop us from pursuing our dreams. To be dead to alternatives is to be a one eyed visionary person. It is to pursue our dreams one at a time. It will be a waste of time, energy and resources to attempt to achieve something you do not know. According to John C. Maxwell, “the mind doesn’t reach towards achievement until it has a clear objective.” Know what you want to achieve and stay put on the path that leads to its fulfillment. Motivational speaker, Talent and Life coach.